tDAR is an international digital repository for the digital records of archaeological investigations. Adam Brin, the Director of Technology of tDAR, is leading the technical development of dataARC and is coordinating the development of the new user interface with CAST. tDAR is also hosting and preserving numerous dataARC datasets (including NABO’s faunal data and other relevant archaeological data) to ensure that data are preserved and accessible to other researchers. The North Atlantic Biocultural Organization (NABO) is a loosely formed, bottom up consortium of researchers, ranging from climate scientists, to archaeologists, to Saga scholars, working in the North Atlantic to support collaborations and research communities around the long-term occupation of the islands around the North Atlantic, including Greenland, Iceland, and the Faroe Islands. Data collected by NABO researchers provide the basis for dataARC. 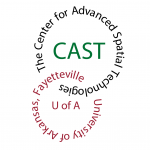 The Center for Advanced Spatial Technologies (CAST), located at the University of Arkansas, focuses on research, education, and outreach related to geoinformatics and geomatics. Specific areas of research in these fields include GIS, geospatial analysis and modeling, high density survey, enterprise spatial databases, remote sensing, digital photogrammetry, and geospatial data and model interoperability. CAST researchers and developers are currently leading the creation of the new dataARC user interface under the direction of dataARC technical lead, Adam Brin. Rachel Opitz, a lecturer in Spatial Archaeometry at the University of Glasgow, is leading the conceptual and semantic development and linkages among our varied datasets. Through the dataARC project, Opitz will hire two Master’s students to develop use cases and StoryMaps based on the outputs of the dataARC tool to demonstrate the tool’s power and usability. The Centre for Medieval Studies aims to bring medievalists of all descriptions together in order to develop and promote their research in a cross-disciplinary forum. The dataARC project engages directly with the ‘Icelandic Saga Map,’ created by co-PI Emily Lethbridge, and designed to enhance transmission of medieval Icelandic saga literature — both via the landscapes in which they are set, and in the medieval and post-medieval manuscripts in which their written texts are preserved. ?The Strategic Environmental Archaeology Database is Swedish-based international research infrastructure for environmental archaeology data. It includes online and offline research tools and aims to facilitating an integrated approach to multiproxy palaeoenvironmental and archaeological investigations. The online browser is available at http://qsead.sead.se. SEAD is directed by dataARC co-PI Phil Buckland, and SEAD data will be linked into the dataARC tools. Created by dataARC partner, Anthony Newton, Tephrabase is a database of tephra layers found in Iceland, north-west and northern Europe, Russia and central Mexico. Tephra (volcanic ash) layers are now an invaluable tool in palaeoenvironmental studies, as well a record of volcanic activity. The data produced by such research can be difficult to handle and disseminate. Details on the location, name, age and geochemistry of tephra layers are stored in the database, as well as information about relevant volcanoes and volcanic systems. A comprehensive reference database is also included. St. Andrews is home to dataARC team members, Richard Streeter and Tom Dawson. Streeter is leading the development of paleoclimate proxies to be included in the dataARC tool, making the proxies accessible to archaeologists and providing insights to their strengths and limitations in understand climate change in the past. Dawson is leading the development of various outreach tools to the general public. The University of the Highlands and Islands is the United Kingdom’s leading integrated university encompassing both further and higher education. Ingrid Mainland, a faculty member at UHI, is helping dataARC is fully integrating archaeological faunal data into the dataARC tool, as well as advising on incorporating information from the Orkney Islands into the system. The National Snow and Ice Data Center (NSIDC) supports research into our world’s frozen realms: the snow, ice, glaciers, frozen ground, and climate interactions that make up Earth’s cryosphere. NSIDC manages and distributes scientific data, creates tools for data access, supports data users, performs scientific research, and educates the public about the cryosphere. NSIDC hosts major partners of dataARC, including ELOKA, and acts as the home for dataARC PIs, Strawhacker and Pulsifer. ELOKA fosters collaboration between resident Arctic experts and visiting researchers to facilitate the collection, preservation, exchange, and use of local observations and Indigenous knowledge of the Arctic. ELOKA provides data management and user support to Indigenous communities to ensure their data and knowledge are managed, visualized, and shared in an ethical manner in order to work toward information and data sovereignty for Arctic residents. ELOKA team members provide expertise in traditional and local knowledge data for the dataARC project, as well as connections to the larger Arctic data community.